“The attitude of unhurried attentiveness in the eutony classes has helped me to feel more focussed, more contained, and more alive to my own feelings”. There is increasing recognition that body and mind are inherently intertwined. Being attentive to what we feel in our body, and through our body, has an effect on our whole being. Eutony can develop, in quite a subtle yet profound way, a greater sense of inner security and a new sensitivity to those around us. Eutony sessions can be quite a silent experience, where time is taken to quietly assimilate new discoveries. 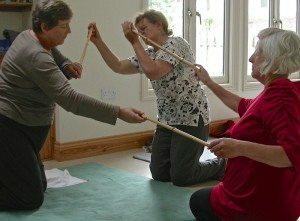 The effects of a session may require space to mature, to be integrated, and one can find that underlying psychological difficulties often resolve themselves in an organic way, without one noticing much at the time. 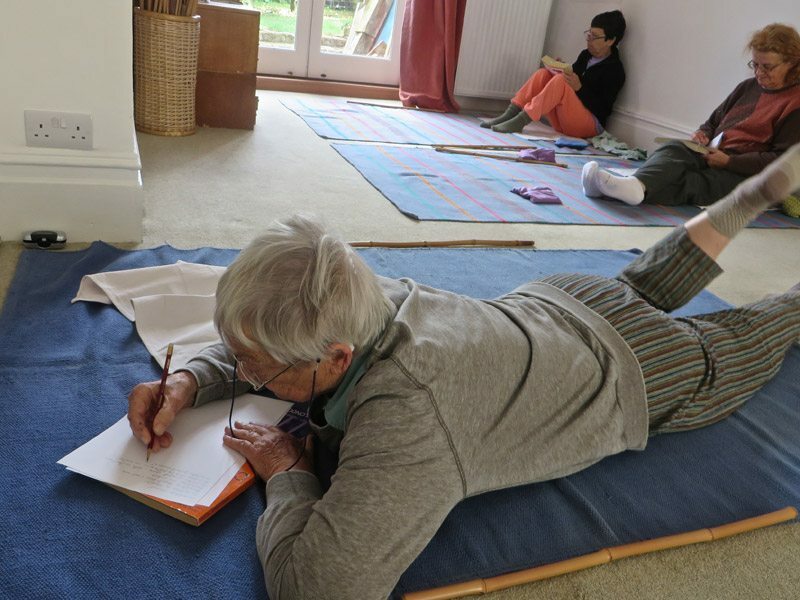 Deep felt experiences are in direct connection with the unconscious, and can be accompanied by images, bring forward memories, reveal emotions … In her eutony sessions, Therese offers you the opportunity to express these through drawing, painting and clay. You may also wish to put them into words. There is always space for this within a session. Verbal expressions in eutony sessions are received without judgement or interpretation. You may find that you also want to take your new experiences and insights to a therapist, and if you are already in therapy, you’ll find that the practice of eutony can deepen your process. Eutony stimulates new dream patterns and new material, which can enable a turning point in a therapy which has gone round in circles. Eutony and psychotherapy work very well in parallel. Psychotherapists and counsellors are increasingly aware that they need to be attuned to their client’s bodily experience and expression, and that the means for this particular ‘listening skill’ is through one’s own body. Eutony provides a personal experience of the sensitive body, alone and in relationship. As well as offering psychotherapists new tools to attune themselves to their clients, the practice of Eutony can be part of therapists’ self care. Eutony offers effective tools to stay grounded, a means to release tensions picked up from their clients, and a way to reinforce their own individual sense of boundary both during and after therapy sessions. Life is perception, life is movement, of the body, of thought, of emotions. Each experience is unique, and has its roots in our deepest being. "In order to achieve a deep relationship with oneself, with an other person, and with the environment, one needs to experience one's total person consciously in stillness, in movement and in contact with the physical environment."